South East corner of Dearborn Ave at Lake Street. Directly across from Goodman Theatre. Obtain a special Rebate Ticket for an $18 flat rate good for up to 12 hours. See event organizer for Ticket. First Come basis while supplies last. Complete this form to register as an Attendee, Volunteer, Presenter, Exhibitor or Sponsor. Each event requires a separate registration. Money Smart Week is a FREE registration. Just hit submit button. Tell us what topic(s) you wish to present. There is no fee to volunteer. Just submit the form and you will not enter any card info. There is no fee charged Money Smart Week Attendees and or Presenters to complete this form. Tap Submit to send form. © 2018 Technology For Women Inc. All rights reserved. 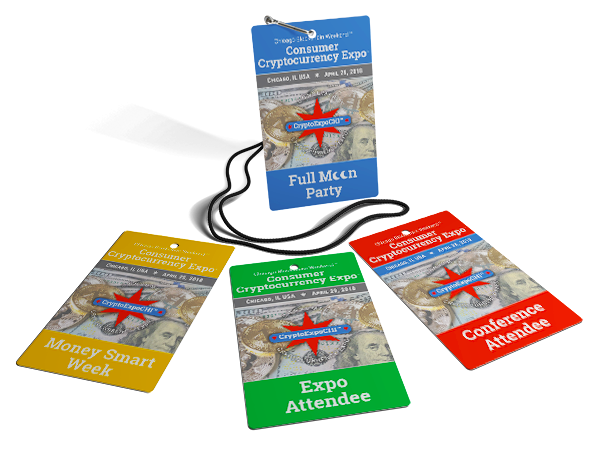 Chicago Blockchain Weekend™ and Consumer Cryptocurrency Expo™ are T4W Inc events and trademarks.